This was getting very frustrating. 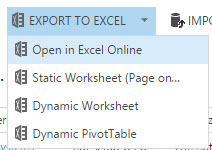 So by chance I went directly to the entity grid view for the project time cards. 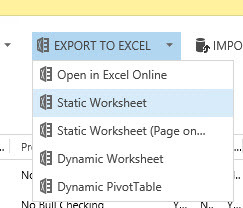 And guess what, when I clicked on the Excel button the drop down displayed two Static Worksheet buttons, one for the good old plain jane export and the one for re-import.